Did you do something wrong? Where is VA Form 21-526 or VA Form 21-526b? NOTE: As of February 14, 2019,*, both VA Form 21-526, Veterans Application for Compensation and/or Pension, and VA Form 21-526b, Veteran’s Supplemental Claim for Compensation, will be discontinued from use. These forms will be removed from VA forms websites and will no longer be accepted by our intake centers. If these forms are received after February 14, 2019, send a VA Form 21-526EZ, Application for Disability Compensation and Related Compensation Benefits, to the claimant to be filled out accordingly and returned. Yup, you read that correctly. VA Form 21-526 and VA Form 21-526b are extinct. Finished. Kaput. As an aside, it would be cool if the VA would put that message on their website, you know, for the millions of Veterans who file claims every year. But, alas, that might make things too easy. So, with that in mind, let’s talk about all the things that VA Form 21-526b used to be used for. For the time being, go ahead and use VA Form 21-526ez for these purposes. and go buy it right now. Not only is it a cult classic, but it is also one of the funniest movies I’ve ever seen. As the VA moves from a paper based processing system to a digital claims processing system, we are going to see more “form-driven” interaction with the VA. The process will become more “technical”…requiring more understanding of the legal ramifications when checking a box on one of these forms…and less real human interaction between the VA and Veterans. We are seeing the ripple effects of this throughout the Veterans Benefits System. Hypertechnicality of VA Claims Jargon at the Veterans Court. The Court of Appeals for Veterans Claims is fond of telling folks that there is no such thing as a “CUE Claim” – it is a “motion for CUE”, a motion for revision based on CUE, or a Motion to Revise an Effective Date in a Previously Final Decision based on Clear and Unmistakeable Error. While I get that words mean things, and that precision is important in the law, the law has nothing to do with administrative level claims. The average Veteran does not – and should not – need to know the difference between a Motion and a Claim to get her VA disability compensation benefits. She should not have to know whether to “File for CUE” at the RO, prosecute a “CUE Claim” at the BVA, or appeal a denied Motion for Revision of a Prior Decision of the Board of Veterans Appeals based on Clear and Unmistakeable Error” at the Veterans Court. Particularly when they are ALL the same damn thing. With a more technical system comes an increasing tendency for a Government Bureaucracy to build the Tower of Babel. We are dealing with veterans, not procedures; with their problems, not ours. (The Author of that quote is General Omar Bradley, a 5 Star General during World War II and the Secretary of the VA immediately following World War II). Technicalities Invade the VA Claims Process through new VA Claims Forms. 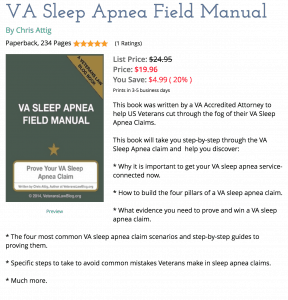 We are also seeing an increase in technical claims procedures at the Administrative Level – where Veterans have not 1, not 2…but TEN rule books that they have to follow. 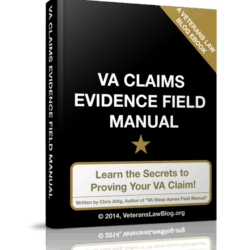 1) A formal claim must be filed using VA Form 526ez. 2) The VA added the Notice of Intent to File a VA Claim Form – the silliest idea since Ski Golf. 4) The VA will administratively deny your TDIU claim if you don’t file VA Form 21-8940 (and even when you DO file this….sometimes multiple times….the VA will often still pretend it doesn’t exist. All of these forms and all these changes and additions to the technical jargon of VA Claims may – and I stress “may” – streamline things for the VA, but they serve as a barrier – an outright impediment – to the Veteran filing for VA Disability Compensation Benefits. 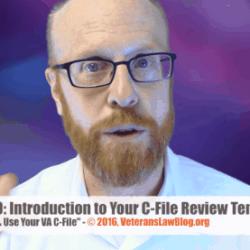 What VA Claims are Filed VA Form 21-526b? 1) Use VA Form 21-526b 21-526ez to file the Claim for Increase . The Claim for Increase is filed when an already service-connected condition gets worse. Used to be that you could simply pick up the phone and call the VA, wait 3 hrs and 25 minutes, and then tell the VA your conditions are worse and you’d like to seek an increase. That’s all it used to take. Not anymore. Now you pick up the phone and call the VA, wait 3 hrs and 25 minutes, and learn that the VA wants you to file VA Form 21-526b VA Form 21-526-ez. As always, it comes down to money. In a Claim for Increase, the Veterans Effective Date can be up to one year prior to the date of the Claim for Increase, as long as the Veteran can show where in that prior year the symptoms of the service connected condition became worse. In order to clearly mark when that retrospective year “starts”, the VA wants a nice handy form that they can stamp with a date-received mark. By doing this, they will cut off any arguments as to what constitutes a Claim for Increase…much the same way as they have eliminated any question as to what constitutes a VA Claim (hint: its only a properly filled out VA Form 21-526 or 21-526EZ). Word of Caution though….-VA Form 21-526b VA Form 21-526-ez can NEVER take the place of VA Form 21-8940. Because we know that a Claim for Increase, coupled with evidence that the Veteran cannot secure substantially gainful employment is also a Claim for TDIU. But always, always, always, use VA Form 21-8940 anytime that you are seeking 100% total disability rating based on individual employability. 2) VA Form 21-526b 21-526ez can be used for New Non-Original VA Claims. 3) Claims to Reopen Previously Denied VA Claims are filed on VA Form 21-526b 21-526ez. The Claim to Reopen…let’s refresh ourselves on what that is. When the VA denies a claim, and the Veteran fails to file an Appeal (the LEGACY process for appeal started with a VA Form 21-0958 Notice of Disagreement), the claim is said to be “final”. However, don’t confuse “final” with “over”. A Veteran used to be able to file a claim to reopen a final claim. But claims to reopen are gone. They only existed under the Legacy Process, and, well, that is no longer in effect. The claim to reopen has become the Supplemental Claim. 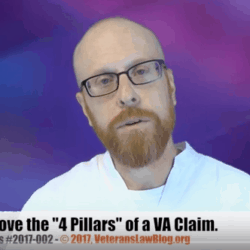 The safest course of action, until the VA puts out their new Supplemental Claim form, is to file VA Form 21-526b VA Form 21-526-ez with your new and relevant evidence. Getting confused? Yeah, you are not alone. Sometimes its okay to admit you’re out of your depth and hire a professional advocate. Learn how to hire the right attorney for you and your claim here. 4) Seek Secondary Service Connection using VA Form 21-526b 21-526ez. A claim for secondary service connection is filed when the Veteran believes that an ALREADY service-connected condition causes – or aggravates – another medical condition (which itself may or may not be service-connected). I’m not going to go into detail on the difference between the two types of “secondary” service-connection, other than to say this: a Veteran’s compensation can differ significantly depending on whether or not the claimed condition is found to have been “aggravated” by a service-connected condition, or whether the claimed condition was directly caused by a service-connected condition. In the first scenario, the rate of the Veteran’s disability compensation for the second claimed condition – the one that was aggravated by the service-connected condition – will be the difference between the severity of the condition before and after the aggravation. In other words, you only get compensated for the amount that the service-connected condition aggravated the non-service connected condition. In the second scenario, the rate of your VA disability compensation will be the total impairment rating for the claimed condition. That’s a big difference almost every single time. I teach Veterans to include any secondary conditions in their original claim. It makes NO sense to wait until you service connect Condition A to file a Claim for Secondary Service Connection for Condition B…..especially if you believe that the 2 conditions are related tat the time of your original claim. Many, many VSOs tell Veterans the opposite – some go so far as to say that a Veteran cannot file a claim for secondary service connection until one claim is service-connected. That, my friends, is what we in the legal industry know as “Horse Puckey”. Aka, Applesauce. You know…Jiggery Pokery. 5) Request “Aid and Attendance” on VA Form 21-526b 21-526ez. This is confusing – there are SEVERAL types of Aid and Attendance, and this form doesn’t state which one to use this form to apply for. If I had to make an educated guess, I’d say that the VA wants you to use this form to apply for Aid & Attendance Special Monthly Compensation, but I don’t know that for a fact. I could be flat out wrong. 6) Using VA Form 21-526b 21-526ez for Automobile Allowance “claims”. If you are a Veteran with certain specific service connected disabilities and/or limitations, you can get a one-time grant of up to $21k (and change) to purchase a vehicle. Here’s a link to learn more about Automobile Allowance Claims. 7) File “Other” claims on VA Form 21-526b 21-526ez. Nobody ever knew what this was. Special Adapted Housing Grants? I dunno. Claims for Health Care? No way. If you have an “other” claim, be sure to use the VA Form 21-526b. (Sarcasm). In all seriousness, what “other” types of claims would you use the VA Form 21-526b for? Post in the comments below…I’d love to get a sense for what y’all are doing out there in the trenches. Shoot. I just filed one yesterday to remind them to give my client SMC(o)(R1) because with my new filing of A&A, it would qualify him for it. You know how they sometimes can’t get their SMC Calculator to work right? Nice to know this. My lawyer submitted a supplemental claim on 11/21/2019 as a FDC. On 2/7/2019 I called VA to see where my claim was and was told that we had used 21-526b and needed to fill out a 21-526ez instead. So it sat for 10 weeks and then they told us to file a new form. How long would it have sat there if I had not called. I appreciate the information in your bolgs and timely information. This site is the most helpful tool I have encountered after waiting 40 years to get 30% I have a CUE motion filed hopefully I will get relief.